It is time to begin the launch of the new Nike colourways and we start of with the collection classic, which has with its new colourway, been thoroughly fired up. 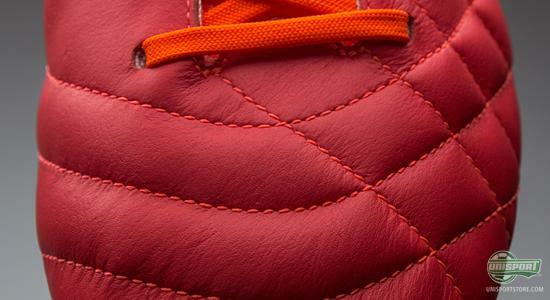 It is the Nike Tiempo Legend IV ACC, the incredibly nice kangaroo leather boot, which now comes in a flamey Sunburst/White/Total Crimson colourway and we will be taking a closer look at it now. Nike Tiempo Legend IV has from the day it arrived, been a massive success in the boot world and since the summer of 2011, where it saw the light of day, it has built up a very loyal following of professional footballers. The classic leather boot has no limitations and is a dream to use in all positions, which is why it can be found at the feet of goalkeepers, defenders, midfielders and strikers. The new colourway is one of the most daring ones we have ever seen in the Tiempo-collection, the last time we saw something like it, was with the Legend IV ACC Soar/White, which turned out to be massively popular. 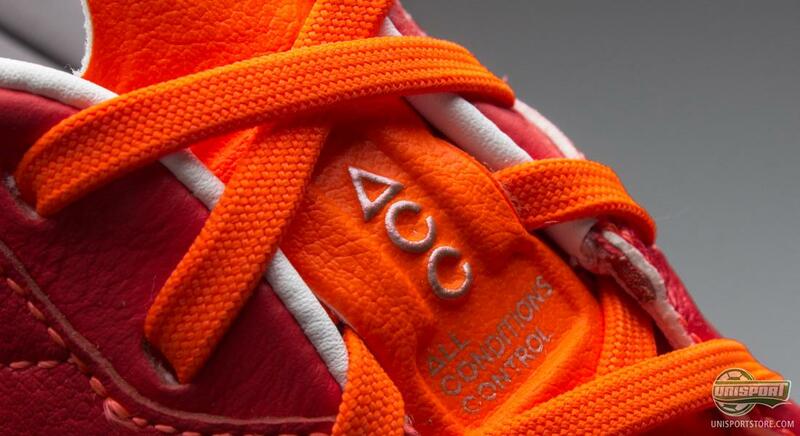 We are therefore not hesitant to already declare this trailblazing colourway an equal success. It will soon get its début at the feet of professionals; the coruscant boot will be shown off at the feet of Andrea Pirlo, Evra and the rest of Tiempo-gang just after Easter. 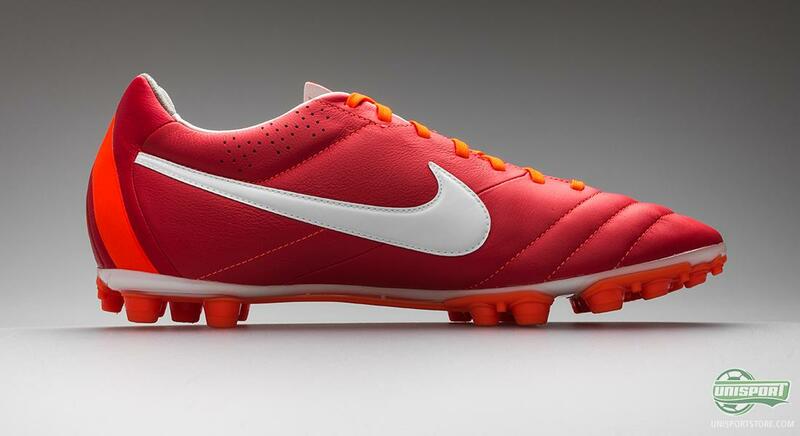 Tiempo Legend IV is Nike's shot at a classic kangaroo boot, which focuses on great comfort and a wonderful, natural, soft touch. Since the first generation of the boot arrived it has taken such grand steps, that it is now on par with many of the markets more modern football boots. It has been made far more streamlined, lighter and then it also been given technologies like ACC (All Conditions Control). 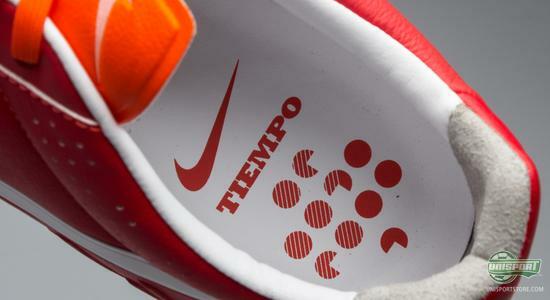 If we start off by looking at the classic aspect of the Nike Tiempo Legend IV, we have to take a closer look at the upper. 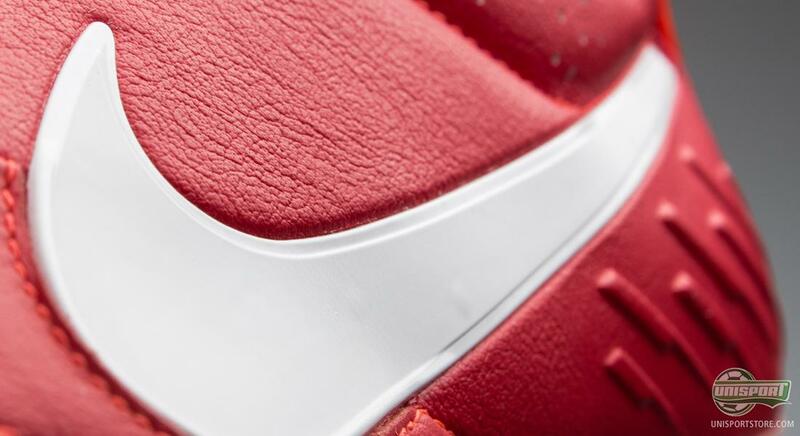 On the front foot Nike have used the incredibly soft and flexible kangaroo leather, which first and foremost ensures a sublime and personal fit, once you break them in. The stitching that runs across the instep also makes sure that the leather doesn't stretch too much and have the boot feel trodden out. 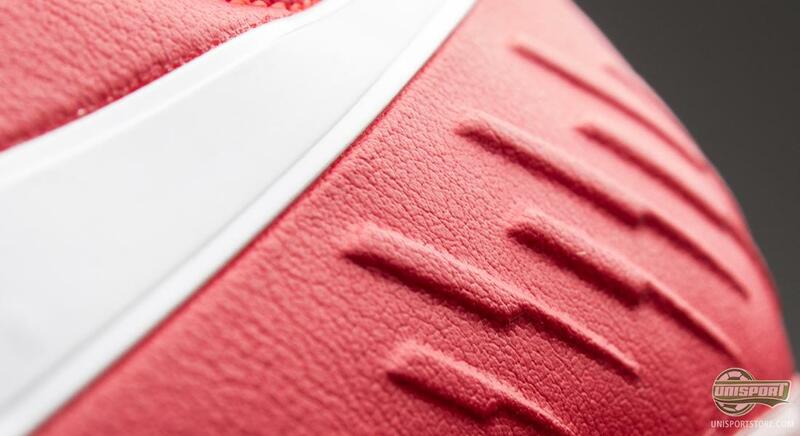 Another advantage of the soft kangaroo leather upper is the natural, dampening touch you get, when on the ball. Here the stitching again comes into play, as it create a pattern of cushions, which further adds to the beautiful touch. Leather is also notorious for not performing well in wet weather conditions, but this is also a problem Nike have found a strong solution for. 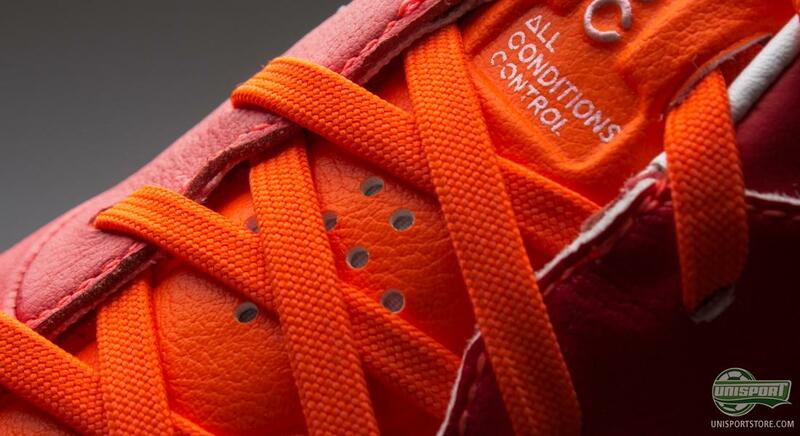 In 2012 Nike presented their latest innovation: ACC, All Conditions Control. 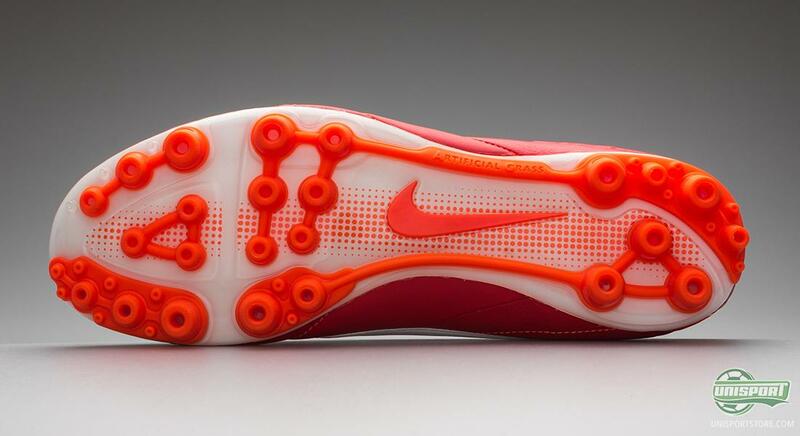 It is a technology, which is incorporated into the upper material during production and works to give the same grip on the ball in wet conditions, as you would otherwise have in dry weather. ACC has been introduced on every single one of Nike's top boots and when Jakob reviewed the technology, he turned out to be more than impressed. Unlike earlier generations from the Tiempo-collection, there has not been used leather on the entire upper of boot. The mid foot and heel material has been replaced with Kanga-lite, which is Nike's favoured microfibre, when emulating the effects of leather. It weighs significantly less, doesn't take in nearly as much water as leather would, while still managing to live up to the comfort standards of leather. On the underside of the boot, the theme of classic meets modern is once again a feature. 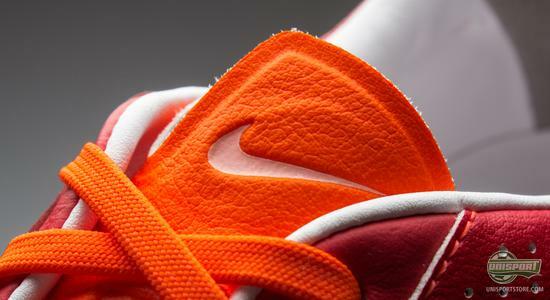 There has been used a classic TPU-outsole, which is incredibly durable and sturdy. 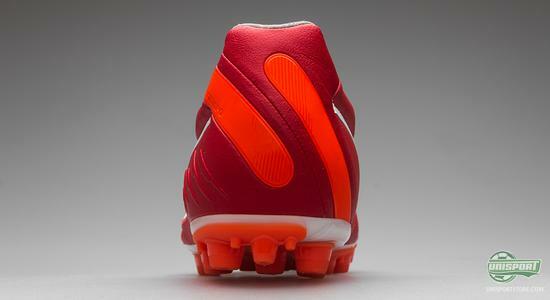 It now comes with the option of choosing it with AG, as well as the standard FG studs. It is the AG Stud-configuration depicted, which is specifically designed for artificial grass pitches. 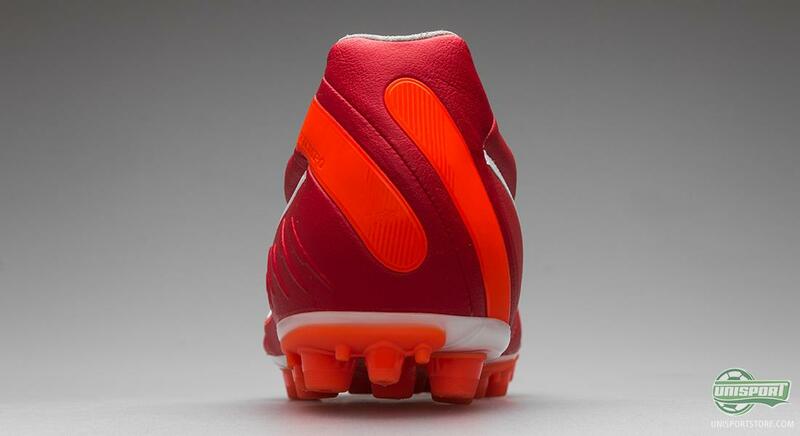 Here the studs are shorter and softer, which ensures good stability and better despersion of preasure. The fiery new colourway has definitely ignited something in our hearts, but we would love to hear if it too has sparked your interest. What do you say to it? Are you looking forward to seeing it in action? Let us know what you think in the comment-section down below.